Israeli soldiers invaded a Palestinian school in the city of Hebron with intentions to arrest two sixth grade students after false allegations of throwing stones at a nearby checkpoint. 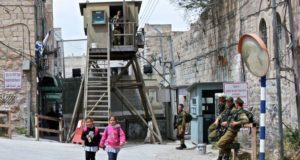 Israeli soldiers based in the Palestinian city of Hebron entered the Kurtuba school on Sunday to arrest two sixth grade students after they allegedly threw stones at a nearby checkpoint. Kurtuba school is located on Shuhada street which is occupied by illegal settlers and has been closed to Palestinians since September 2000. 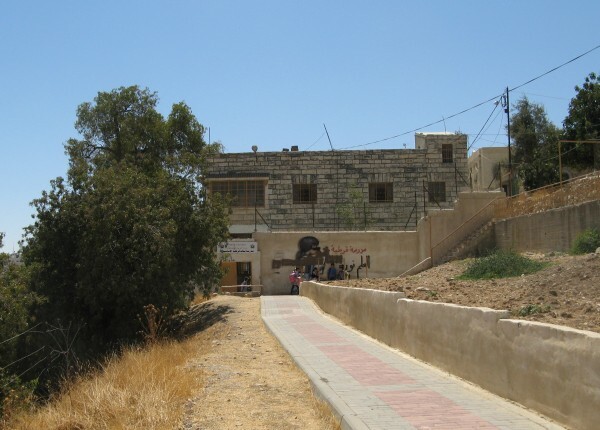 The students and staff at Kurtuba school are granted special permission to walk down this street by the Israeli government. On Sunday morning at 9.30am, armed soldiers with dogs surrounded and entered the school grounds to arrest two young male students. They asked Miss Samir, the English teacher, if the soldiers had seen the two boys throw stones: the soldiers refused to answer. When she questioned them further about what the boys looked like, they described two boys which did not fit the description of any of the students at the school. The soldiers then picked two boys at random from a classroom and tried to take them by force, but the teachers refused to let them go. The soldiers occupied the school for half an hour before deciding to leave. As the soldiers were leaving Kurtuba school, they threatened to close the school if it was found that any stones were thrown. 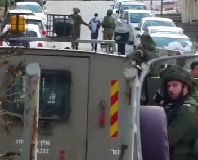 Unconfirmed reports say that after the soldiers left the school they arrested two boys from Tel Rumeida.